It reads: Margaret Catherine Case King was born in Hendersonville, North Carolina, November 19, 1853, and passed on at the home of her daughter and son-in-law, Mr. and Mrs. Clifford Manning, April 15. She was the daughter of Thomas Jefferson and Ellen Emaline Case. Margaret Case was married to John Dillard King, March 26, 1971. This this union were born twelve children. Mrs. King moved to Washington with her husband and family in January, 1950 and settled on a homestead on which she resided until her death. 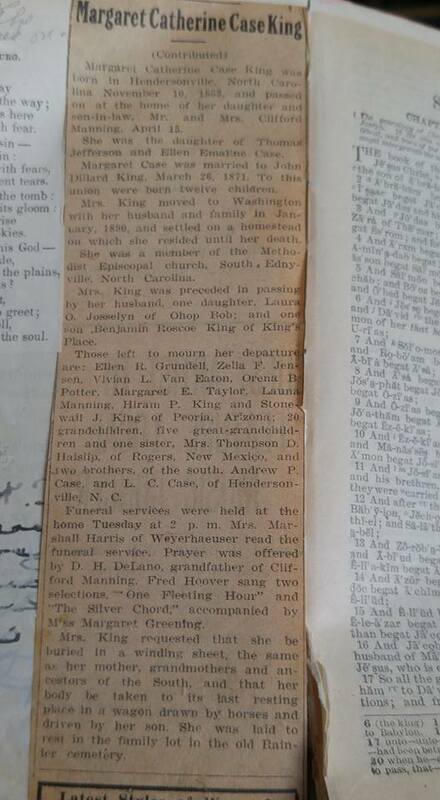 She was member of the Methodist Episcopal church, South Ednyville, North Carolina. Mrs. King was preceded in passing by her husband, one daughter, Laura O. Josselyn of Ohop Bob; and one son Benjamin Roscoe King of King’s Place. 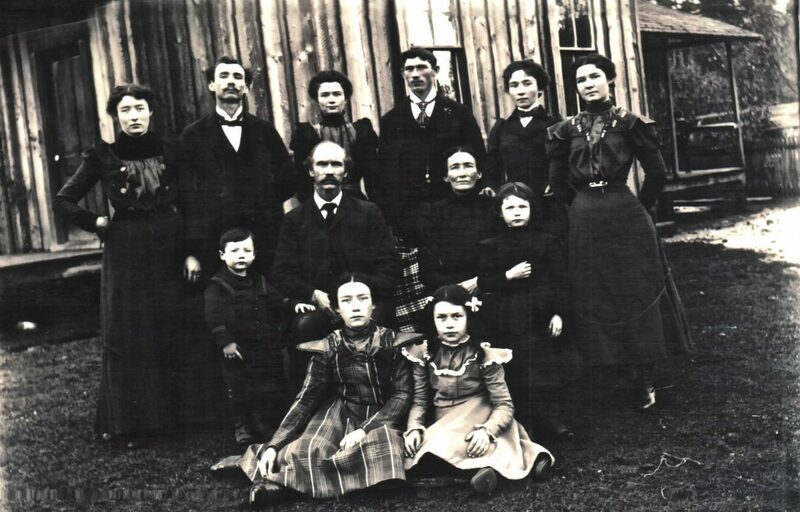 Third Row: Zella King (Mrs. Salva Jensen), Stonewall Jackson King, Ellen Rebecca King (Mrs. Louis Grundell), Roscoe B. King, Laura Olympia King (Mrs. C.C. Josselyn), Vivian Lee King (Mrs. Gurnie Van Eaton). Those left to mourn her departure are: Ellen R. Grundell, Zella F. Jensen, Vivian L. Van Eaton, Orena B. Potter, Margaret E. Taylor, Launa Manning, Hiram P. King and Stonewall J. 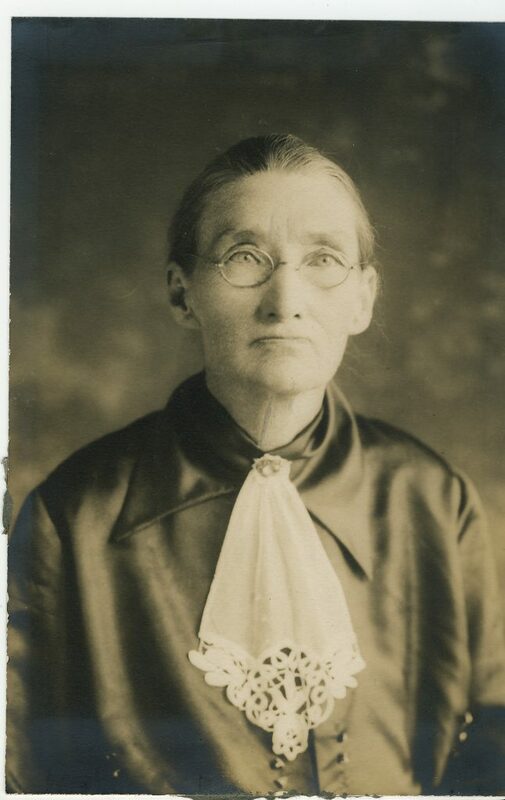 King of Peoria, Arizona; 20 grandchildren, five great-grandchildren and one sister, Mrs. Thompson D. Haislip of Rogers New Mexico, and two brothers of the south, Andrew P. Case and L. C. Case, of Henderson, N.C.
Mrs. King requested that she be buried in a winding sheet, the same as her mother, grandmothers and ancestors of the South, and that her body be taken to its last resting place in a wagon drawn by horses and drive by her son. She was laid to rest in the family lot in the old Rainier cemetery. Funeral services were held at the home Tuesday at 2 p.m. Mrs. Marshall Harris of Weyerhaeuser read the funder service. Prayer was offered by D. H. DeLano, grandfather of Clifford Manning. Fred Hoover sang two selections, “One Fleeting Hour” and “The Silver Chord,” accompanied by Miss Margaret Greening. Photos courtesy of Monte King.